Hi Kay, welcome to the world of blogging,I,m now a follower ,Have fun and Happy Crafting. Hi Kay just sayin what a lovely page u have here....youre own piece of craft heaven...hehe!!!! 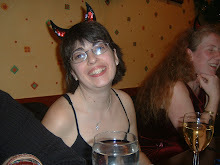 Hi Kay I am new to blogging as you know so im hoping you will help me out if i get stuck? !dont know how i managed to do one though it took me a long time!! !i am now a follower on yours too!! !